In DigiCal's calendar menu, you can set calendar visibility. If you're missing some calendars, don't forget to check if you have selected the calendars to sync as well. Calendars need to be synced first before you can set their visibility status! *Calendars to sync and calendar visibility in the main DigiCal app are system-wide settings that all calendar apps have access to. Changing these settings in DigiCal will affect what you see in other calendar apps, and changing the settings in other apps will affect what's synced/visible in DigiCal as well. *If you are using DigiCal+ you can also choose per widget which calendars to display. All of them need to be selected to sync in the main app's settings menu though for this to work. 3. Tap on the configuration icon to the right of calendars to go to the calendar settings menu. In this settings menu, you will see a list of available calendars. A) Choose whether this calendar syncs with your device. B) Choose whether this calendar should be visible on your device. C) Choose the name and/or color of that calendar. 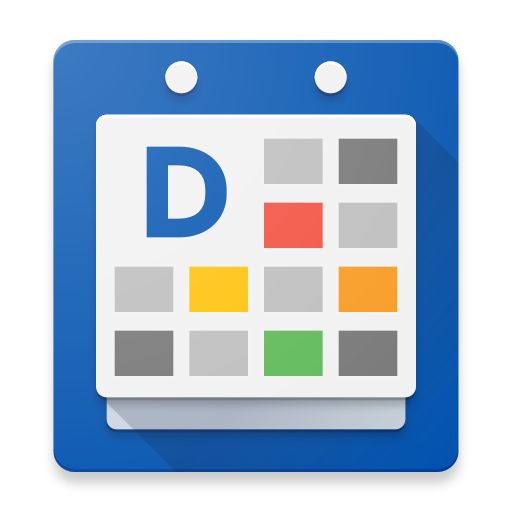 *Picking 'default' will give you the Google Calendar color. If you want to set your own color you can go to www.google.com/calendar and set up a custom default color for your calendar, then pick default in the DigiCal settings and DigiCal will use that color as well for your default color (the color black doesn't work though due to an Android issue). The benefit to this is that your default calendar color will be the same on all your devices. *Names are merely nicknames/display names and don't sync to other devices and don't show up in other calendar apps. To change the actual name of a calendar you'll need to go to your calendar account's official website such as www.google.com/calendar and change the calendar name there. 5. To add a local calendar via DigiCal or to sync a new calendar account, press the + button at the top right of the calendar settings menu. 6. You can also quickly set the calendar visibility of all your synced calendars via the hamburger menu by tapping the small colored square to the right of each calendar. An empty square means it's not visible, while a filled square means the calendar is visible. Use the hardware menu button to access DigiCal setting menu to open the calendar menu.